My design won first place in a 36-hour Design Challenge sponsored by Gensler, NCR, and The Savannah College of Art and Design (SCAD) Atlanta. 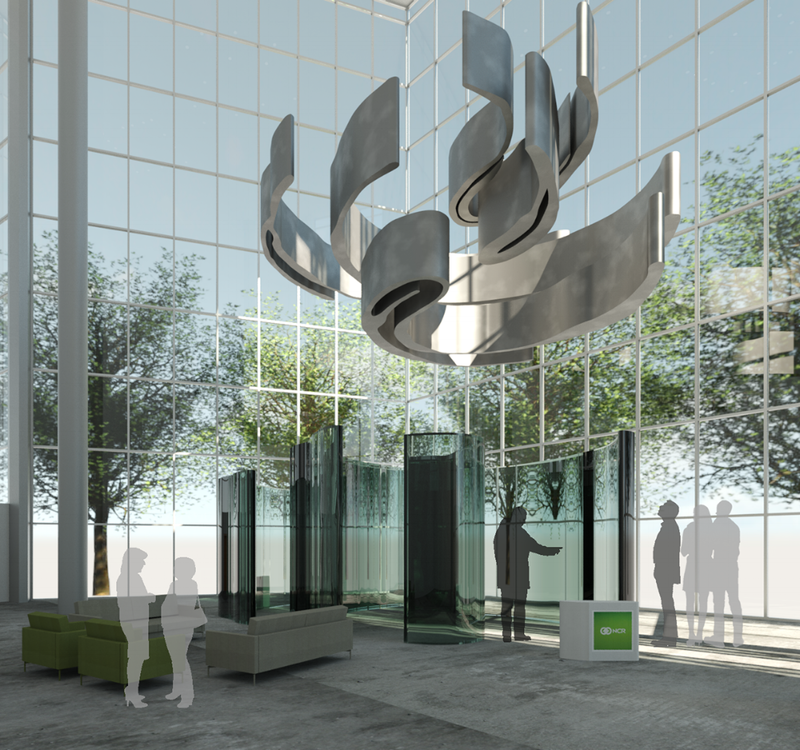 The brief was to design an exhibit for the lobby of NCR's new headquarters in Midtown Atlanta. 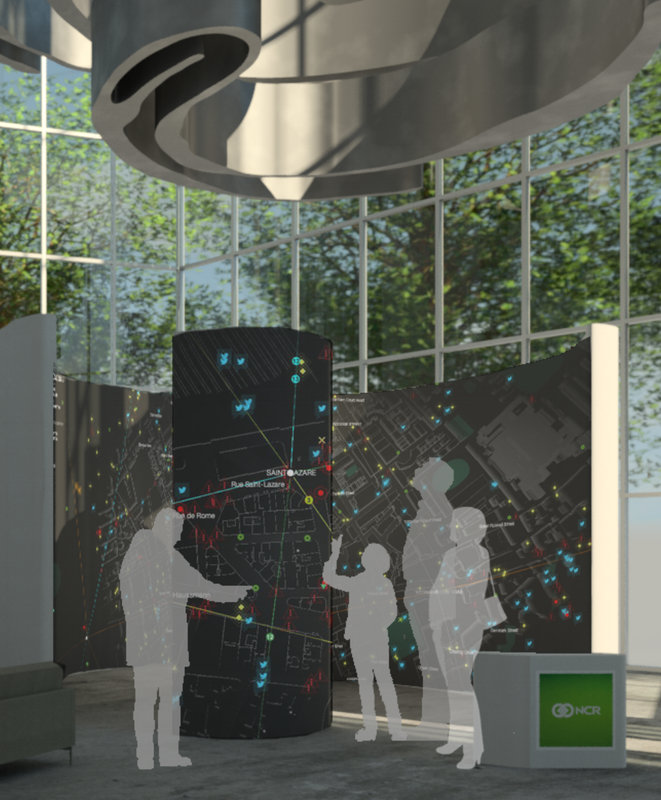 Inspired by the hundreds of millions of people worldwide who use NCR's transaction technologies everyday, my installation, "Touch," employed the abstracted forms of a fingerprint.